It would seem that my ‘time zone change at home’ project may have worked! I started shifting my sleep/awake times. Most notably I shifted my coffee drinking times. Just before leaving I was drinking my ‘morning’ coffee at 3 pm and my ‘afternoon’ coffee at 9 pm. Of course, this meant that upon arriving here in Melbourne, Australia I had to keep the same coffee schedule. I learned online that Melbourne is world famous for its coffee so we hit the streets and bought coffee at the first shop we came to. I couldn’t have planned it any better if I had tried. 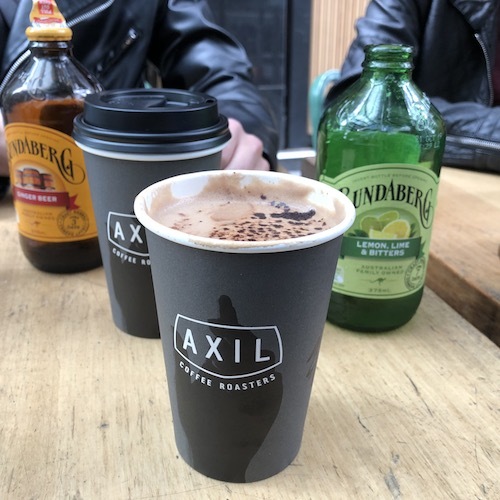 Later when I did a specific search for ‘best coffee in Melbourne’ guess what popped up as #1…yep, Axil Coffee Roasters! 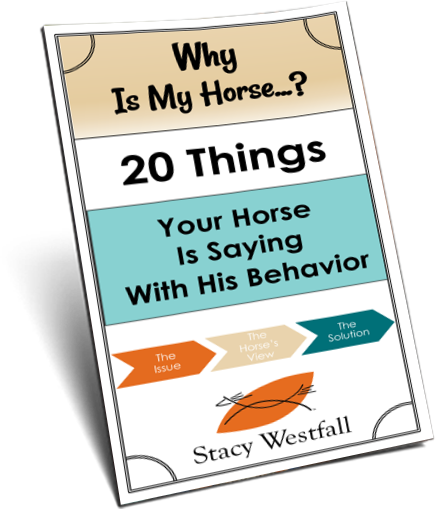 When I travel for work I know I will be seeing horses so I try to stretch myself and look around a bit. 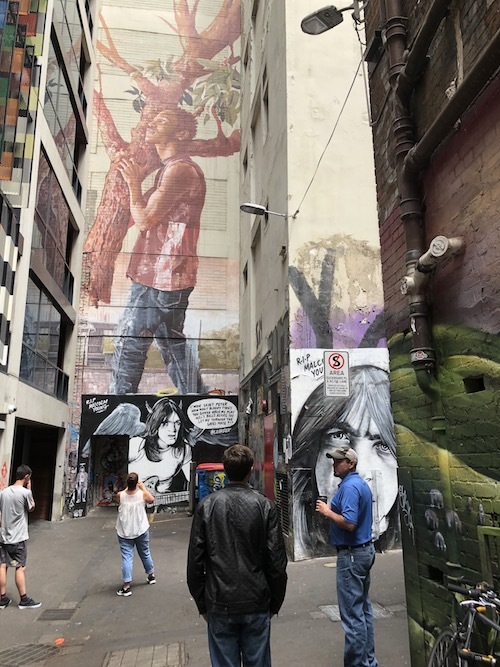 While still at home another helpful google search listed the #1 thing to do was drink the coffee and #2 was to see the street art. Coffee in hand we began walking and…yep, without a map or directions we managed to quickly spy a very painted street. It turned out to be AC/DC street which is one of the most famous streets to visit. 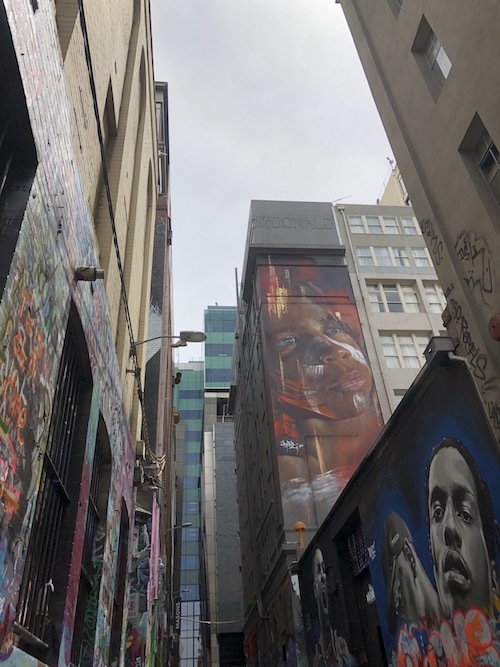 If I’m making it sound really easy to have a great experience in Melbourne, Australia that is because it really has been easy. If this was a video you would see him cantering! 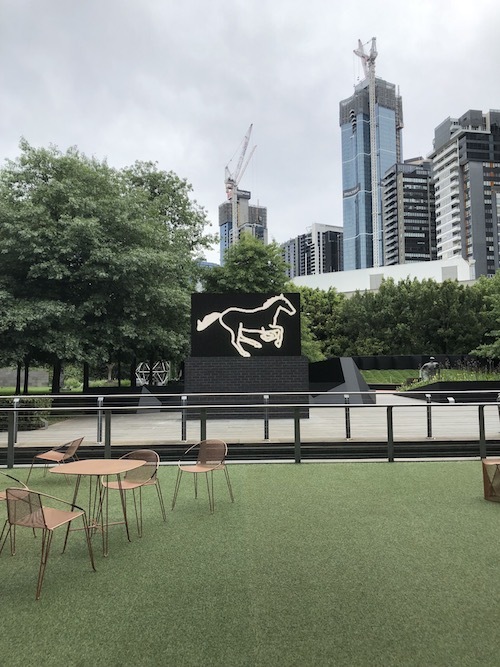 A digital horse Melbourne Australia. It was nice meeting you! I’m glad Jesse got to spend some time with you. When all goes well at an expo I’m crazy busy…and things went well…which makes visiting really tough. I did an expo once where traffic was shut down for a snow storm. All of the vendors got to know each other really well!!! Just wanted to shout out a massive Thankyou for all your help, knowledge and patience with us over the last few days! What an experience and one il never forget! Clyde loved being the centre of attention too lol. Haha and nothing like thrown in the deep end- I had no idea what a clover was when you told me to trot it 😬 I do now and will be working on that exercise! 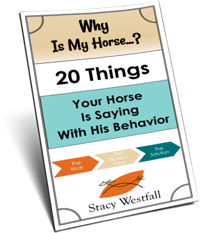 Can I email some follow up questions re stopping and contact – just to continue a bit of a program with Clyde – he responded really well with you, so want to keep working on it ! Thanks again and it was wonderful to meet you !!! Yay! I’m glad to hear from you! I asked Bonnie if I could get your contact info so I could follow up with you…but you found me! Yes, sorry about that…I did throw you in, lol! You did great! Clyde was a good student. I wish I could have worked on the stop for an hour!!! Let’s make contact through email and set up a way that I can answer the rest of your questions. The booth was so busy (which is good but made catching up tough). Thanks for sharing! I’ll have to share your “coffee hack” for traveling. I can’t believe how well the coffee hack is working! The interesting thing is that I like my coffee but I can skip it without headaches or anything…so I’m not that heavy a drinker. And it still worked. I also adjusted my eating schedule around it as much as possible and I think that helped too. At the moment I can say I felt the worst the first few days I changed my schedule at home…and it was easier to deal with feeling yuck at home.